There is an argument I have often seen bandied about that Lord of the Rings is a “low magic” setting. It probably comes up elsewhere, but I often see it brought up in regards to Lord of the Rings Online. In particular it is at the centre of the unending controversy over the game’s rune-keeper class, which is essentially a mage. I am a lifelong Lord of the Rings fan who has read the books and watched the movies more times than I can count, and I am completely baffled by this belief in a non-magical Lord of the Rings. Lord of the Rings isn’t low magic. Lord of the Rings is dripping in magic. Magic is everywhere in Middle-Earth. Before the Hobbits even make it to Bree in the Fellowship of the Ring, they encounter evil psychic trees, are saved by an immortal nature spirit, spend the night in his enchanted home, get bewitched by evil ghosts, and steal a bunch of magic blades from them. And all that is just a tangent the movies didn’t even bother to cover. Also in the Fellowship of the Ring, there’s a scene where Gandalf basically blows up a small hill just to chase off some wolves. Saruman calls forth incredible storms to drive the Fellowship back from Caradhras. Glorfindel (or Arwen in the movie) is able to drive off the Nazgul by unleashing the inherent power of Rivendell. The Mirror of Galadriel. The Light of Earendil. Sting. Ent-draughts. It just keeps going. The Elves were so suffused with magic that the mere touch of anything wrought by their hands caused Gollum excruciating pain. And did you think that the Lorien cloaks kept their wearers so well hidden just through clever stitching? That a few bites of lembas a day can sustain a person for weeks simply because the Elves are good bakers? The counter to all this might be that these examples all involve very special people. Gandalf, Saruman, and the Elves are immortals with abilities far beyond that of mere humans. Magic is out of reach of the ordinary person in Middle-Earth. Aragorn is mortal, yet his mastery of healing quite clearly comes from more than a simple knowledge of herbs and medicine. The Oathbreakers were cursed to undeath by Isildur, then commanded and subsequently released by Aragorn. Most tellingly, the Mouth of Sauron, a mortal man, is said to have learned great sorcery from the Dark Lord himself. This shows magic can be taught in Lord of the Rings. Now these are Numenoreans and therefore still a bit beyond your garden variety human. But there are other examples. Even Samwise Gamgee, a simple Hobbit gardener, is able to make hardened Orcs flinch before him simply by shouting a few Elvish phrases. He’s able to regrow the trees of the Shire using naught but a small pouch of soil from Lorien. Consider, also, that for a time Sauron masqueraded as “the Necromancer of Mirkwood.” Necromancers had to be a relatively common thing for him to not be immediately identified as his true self. Although we don’t see a lot of mortal magic-wielders in Lord of the Rings, it is my opinion that they certainly could have existed, and probably did in some number. To get back to LotRO, then, I see nothing wrong with the rune-keeper. Magic is everywhere in Lord of the Rings, so where did this perception that’s it’s a low magic setting come from? I don’t know. Fanon is a strange thing at the best of times, and this is definitely one of the weirder examples I’ve seen in my time, all the more so for how widespread the misconception has become. The one explanation I can come up with is perhaps it has to do with the fact magic in Lord of the Rings tends to be less visually flashy than you see in other settings. Magic in Tolkien’s universe tends to be more often about influencing minds and emotions than about flinging fireballs and lightning bolts. The magic is very common and very powerful, but it is subtle, so maybe that’s how people have come to dismiss it. I can especially see this being the case for people who are more familiar with the movies than the books. The medium of film cannot easily convey things like how the heart is seized with unnatural terror in the presence of the Nazgul, or the serenity that can be bestowed by the Elves and their works. Even then, though, there are still plenty of more dramatic examples of magic in Lord of the Rings, so it still doesn’t make much sense. It is a great mystery. How have people convinced themselves the story that created the high fantasy genre is not high fantasy? This entry was posted in Misc. and tagged books, fantasy, Lord of the Rings, Lord of the Rings Online, movies by Tyler F.M. Edwards. Bookmark the permalink. The problem with the phrase “low magic” and “high magic” is that it incorporates two concepts into one phrase – is magic commonplace, accessible and part of everyday life in this setting, as well as how powerful is the magic, when used? Tolkien’s Lord of the Rings is low magic in the sense that magic isn’t terribly accessible as compared to a typical D&D setting. There are five Wizards and they are otherworldy spirits, a human cannot hope to be one, as opposed to settings like the Forgotten Realms where mages are a dime a dozen on the street corner. Resurrections are sold at the drop of a pouch of gold from priestly temples versus needing a special herb that only works in the hands of a Numenorean king… who also happens to be lost in the wilds for pretty much most of the time until it comes time to claim his throne. Magic in LOTR is powerful, significantly so, but the everyday person who isn’t an elf or some other supernatural being is not likely to come into contact with any (unless they’re suicidal and run off into the wilds, or a dragon comes by to visit) until all the destiny-altering movers and shakers join the fray. I suppose it is also about what one is comparing against. Compared to real world Earth, -any- fantasy setting is high magic, in the sense that magic exists. I guess another definition might be… if the setting were a tabletop roleplaying game, would the PCs have access to much magic, or will magic mostly only be in the hands of the NPCs? See I don’t even necessarily agree that the average person in LotR wouldn’t be likely to encounter magic. I guess part of the problem that we don’t really see a lot of average people in Middle-Earth in the books (and those we do are almost immediately thrown into fantastic circumstances), but as I point out, even Samwise was able to work a little magic here and there, and he’s just a gardener with no training. Imagine what someone with the time and inclination to actually study magic could do. It’s maybe not someone a random farmer from Bree could do, but someone of good social standing from, say, Gondor? Sure. Magic is maybe a little less accessible than your average D&D setting, but to use your tabletop analogy, I’d definitely say any LotR RPG should allow PCs to be magic-users. Maybe not at the same level as Gandalf, but they should have access to the supernatural if they choose. It’s like sugar. It just feels low in LoTR to some because they have been reading more recent works that rely on magic as a free plot coupon machine. It’s the end of an age experiencing the twilight of magic. The legacy of magic and minor feats are becoming rarer. Major workings are less powerful and more infrequent. Love your post and love LotR. I like the fact that the magic there is less the “in your face” kind. It makes it a more interesting read. It made people think. I have always thought of Middle Earth as a “low magic” setting. It has nothing to do with the potential power levels of magic, which are clearly off the scale. Nor is it exactly what Jeromai says, a world in which the average person doesn’t ever encounter magic. What I have always taken “Low Magic” in this context to mean is that normal, everyday society is not magic-reliant. Magic exists and most people understand that it exists but it doesn’t form a significant part of their day-to-day experience. In a High Magic world, for example, even housemaids would light the fires of a morning with a fireball and guests would arrive by flying carpet or in a puff of smoke. Low magic worlds are places that look like our world, where magic if seen is usually low-key – cantrips, healing herbs, maybe a love potion. Anything bigger and flashier is received either with disbelief or fear, just as we might react to a UFO sighting. By that standard, though, nearly every fantasy setting is “low magic.” Even Warcraft could arguably qualify, though we as players tend to only experience the bits of the setting where magic is commonplace. I actually struggle to come up with many fantasy settings where magic is something used regularly by the everyday person — it’s almost always limited to a gifted few. Not having spent much time in LotRO, I’m not exactly sure how well it compares to other MMOs in relative prevalence of magic. I feel like Age of Conan could perhaps at least be in the same general ballpark. I don’t know that game super well either, but what I saw of the setting didn’t involve much magic at all, and as a mage class, I still had to rely on physical attacks as often as not, at least at low levels. Tried to reply twice, using two variations of my WP log in info. Neither comment appeared and I got no error message. Maybe you can find them in your spam folder? I would argue that common humans cannot become magic-users in Arda. Wizards are just another word for the Istari who came to Middle-Earth, and there are only five of them (if I’m getting my lore right!) Elves also have magic, but I don’t think a common person would every meet an elf (especially Hobbits!). Also, though there are a lot of magical items and creatures, the only real magic spell is cast late in the Fellowship of the Ring. 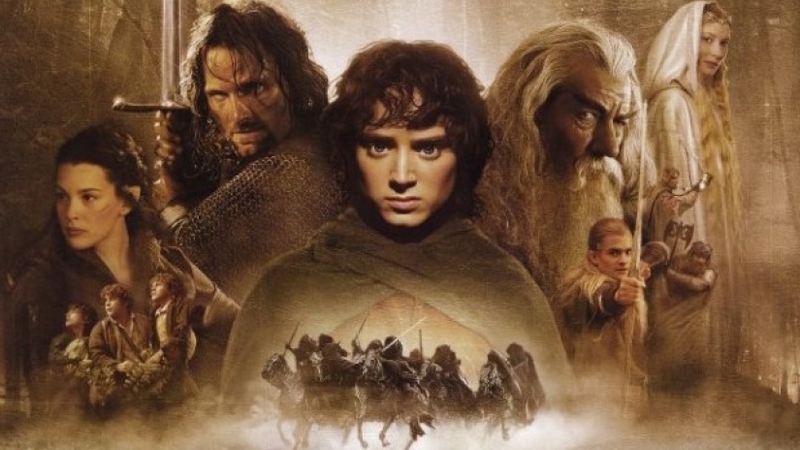 I think the problem is that Middle-Earth is (by the time of the Lord of the Rings and the Hobbit at least), a low magic setting, but the plot of the Lord of the Rings isn’t – it’s epic high fantasy. I further my point by saying that the Hobbit is definitely not high fantasy like the Lord of the Rings is, it mightn’t be totally low fantasy, but it’s not high fantasy, and yet it’s in the same world as the Lord of the Rings. I would also like to mention that Middle-Earth is a fictional past for our world. You might know that already, and I didn’t see anyone say otherwise on this post, but I’ve seen it in other places and it irritates me a little bit because that’s why some people classify the Lord of the Rings as high fantasy – because it’s in a different world. I think, really, the genre of a fantasy work can be classified by mood/flavor, plot, and setting. And within plot and setting, by quality or by quantity (of magic). Although, in the end, the difference between low and high fantasy is really up to the reader/writer or player/DM/GM. 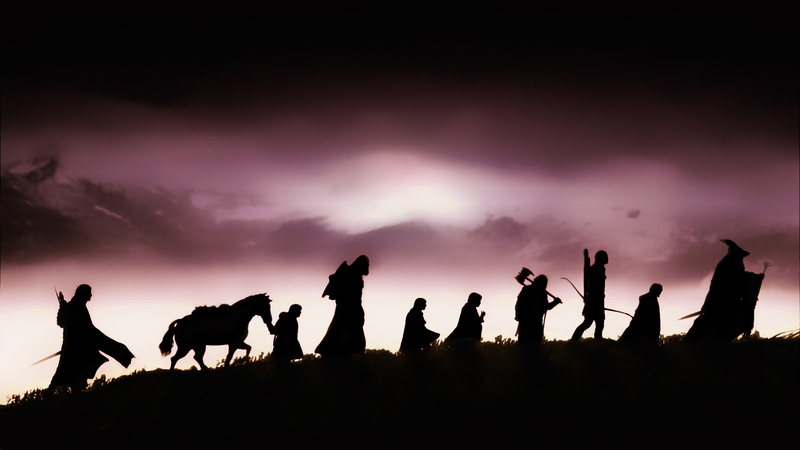 Therefore, Middle-Earth and the Lord of the Rings can be either high fantasy or low fantasy. I wonder what Tolkien would have thought about this. Would he choose high or low fantasy? He might reject both of them, as I think Tolkien was a little bit of a literary snob within the genre of fantasy. I don’t think he liked Conan the Barbarian or any of the like. I think Tolkien would say that his world was a mythology, not a fantasy like Conan the Barbarian, Drizzt, or Dungeons and Dragons. And Tolkien is right about his world being a mythology, I think his books were (one of*) the bridging point between mythology and modern fantasy. He was inspired by mythology creators before him (I forgot their names though! ), and by other real world mythologies (obviously). I sometimes find it weird how authors (though I’m not blaming them about this, I do/did this to as a writer – though not an author – too) take creatures, races, and ideas from the Lord of the Rings, without knowing the background behind where the creatures, races, and ideas in the Lord of the Rings came from. Like taking dwarves and elves right from the pages of the Lord of the Rings, without realizing that the dwarves were taken from many sources, and the elves which were also taken from many sources (Norse and Celtic mythology, people forget the Celtic part of it, but some of the aspects of the elves – like the elves leaving Middle-Earth in the end – obviously come from Celtic mythology and not Nordic mythology. Also, the Nordic elves I feel were much sturdier than the elves in Middle-Earth if you take my meaning). And… I realize I’m on a totally different topic now! Anyway, those are my opinions! *of course the modern fantasy genre was also influenced by Conan the Barbarian, but I’m talking about Tolkienesque fantasy, and fantasy that are influenced by both Tolkien and Conan type fantasy, or fantasy that isn’t even like both of them, but in the end have to say thanks to Tolkien to making the fantasy genre more widely spread. Whether common humans can be become magic-users is open to debate. There’s nothing that explicitly says so one way or another, AFAIK. At the very least, though, Numenoreans seem to be able to. Again, the Mouth of Sauron is a telling case, as he is explicitly confirmed to be a mortal man who was taught magic by Sauron. You mentioning that that there’s only one discreet “spell” cast kind of cuts to the heart of my point. Magic in Lord of the Rings is not about casting “spells” per se. It’s more subtle and pervasive. It’s about influencing hearts, and minds, and the natural world much more so than flinging fireballs. Examples might include the aura of dread that surrounds the Nazgul, or how the Orcs see Samwise as a mighty Elven warrior when he wields the Light of Earendil. 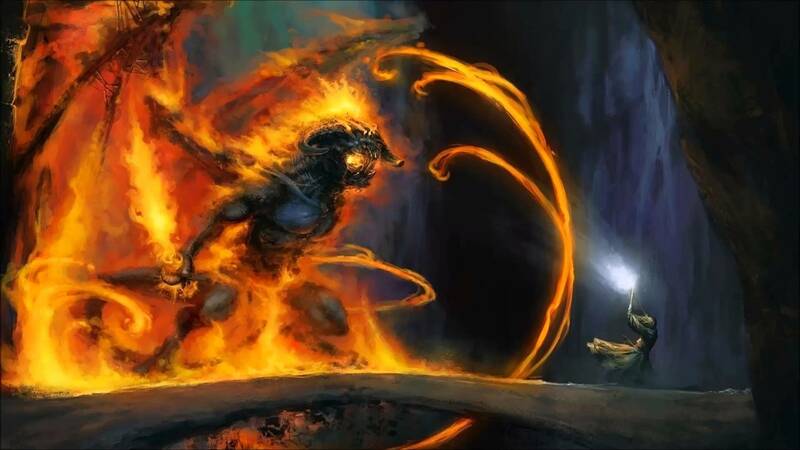 Since Tolkien, the fantasy genre has trended hard toward presenting magic as a much more obvious and direct sort of thing, so LotR’s less flashy take on it may be why people tend to perceive it as unmagical despite the omnipresence of supernatural events.